Established in 1977, this volunteer company protects Kidder Township in the northern portion of Carbon County. The company is dispatched simultaneously with Districts 17 (Lake Harmony FD) & 18 (Kidder Twp. 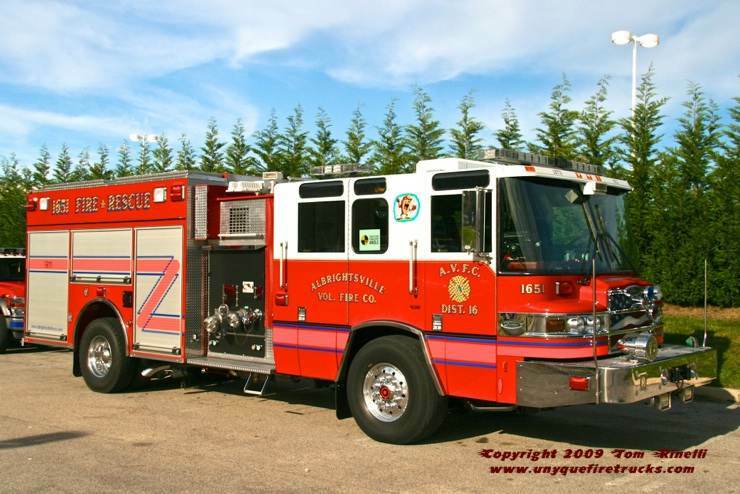 VFC) as well as EMS Station 17 (Lake Harmony Rescue Squad). 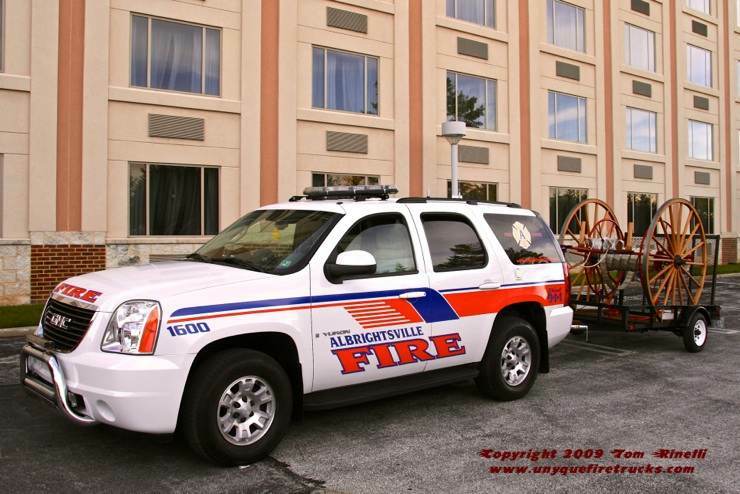 Fully equipped for fire & rescue, it features an 8 kw generator, 6,000 watt light tower, a 9,000 lb. winch, laptop with hazmat & vehicle rescue reference material and even a stocked refrigerator and microwave! !, Its’ equipment complement includes 1,000' of 5" LDH, a full set of Holmatro rescue tools, airbags, rope rescue gear, a Stokes basket, 600 lbs. of oil dry, absorbent Haz-Mat supplies & plug kits, a CO monitor & command post equipment including a digital camera and camcorder. it is equipped with two 200’ 1-3/4” crosslays, two 150’ reels of 1” hose & 300’ of 3” supply line. This hose cart is privately owned by a former asst. 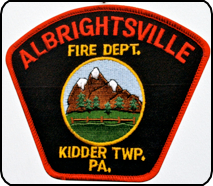 chief of the Albrightsville FC. Purchased new by the City of Philadelphia in 1860, it was in active service until 1910 when it was sold to a fire company in Upper Darby (PA) where it served until 1968. It then sat dormant in a farmer’s field until 2002 when it was acquired privately and fully restored over several years. This rig was awarded Best Appearing Privately Owned Hand-drawn Apparatus at the 2009 Pennsylvania State Firemen’s Convention Parade. 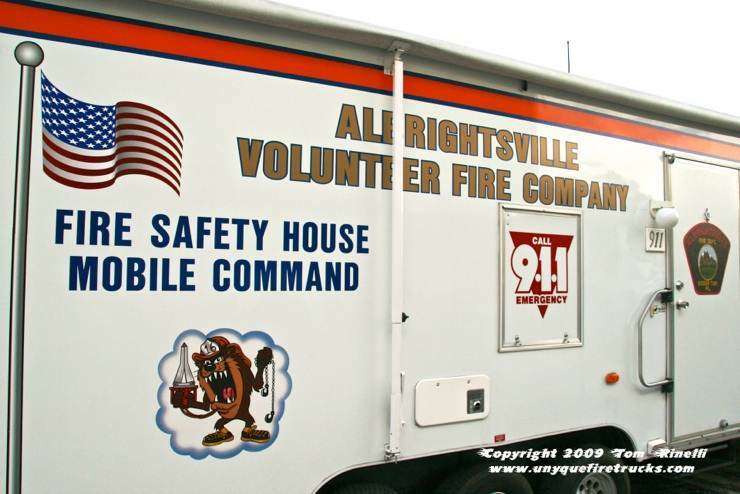 While originally photographed to show the various artwork, this unit is worth mentioning as it is quite unique serving a dual role for both fire safety education and incident command. 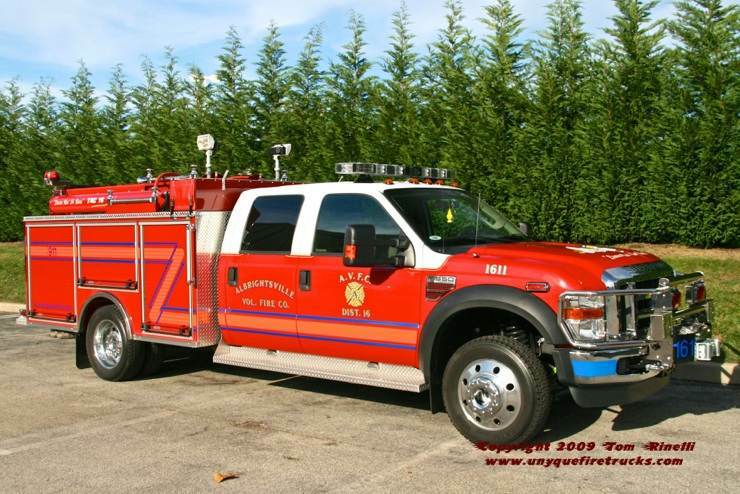 It is equipped with fire safety training props including a smoke simulator, TV, fireplace, bedroom and hurricane/tornado simulator as well as UHF/VHF radios, command post workstations with countertop workspace, telephone hook-ups, a 30 gallon on-board water tank and even two showers! !